Most people go about decorating their home all wrong – do you? What’s the first thing you do when you’re planning a home interiors project? Rush out and buy a glossy interiors magazine, browsing Pinterest or even shops and start drooling over all the dreamy images you find? Don’t worry we all succumb to it – they’re just so darned gorgeous right?! All those pretty vignettes arranged so artfully, if only your home (with its kids, pets and long working hours) could look like that! What if I told you that even if you bought every single item in that image you like most and styled just as beautifully, it wouldn’t make you happy. Would you believe me? Nope? Didn’t think so. The thing is you’re going about it all wrong. You may like a picture in a magazine or on the screen, but it’s quite another thing to live with it EVERY day. Now, don’t get me wrong – I’m not singling you out. I don’t blame you. Most of us are doing the same. That’s what glossy interiors magazines, beautifully staged shop windows, and million dollar advertising budgets are all designed to do – to entice us, to lure us in, to seduce us with glittery objects we just can’t resist. Unfortunately, the reality is an empty illusion. The truth is it’s hard to fully feel satisfied by a room that doesn’t resonate with you as an individual at a deeper level. Our homes are our most private sanctuaries – and yet on impulse the first thing we do is look externally for clues as to what we should fill it with. That’s where most people go wrong. If you were to hire an interior designer, their first task would be to get to know a) your personality and b) how you would like to live. Without doing those two things it would be impossible to design a scheme that is appropriate and sensitive to your needs. 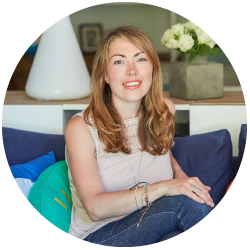 Now, clearly you have a huge head-start on any interior designer you’ve barely met – but that’s still where you should start too. So before you go anywhere near a shop or pick up another magazine, I urge you to first give some thought to how you intend to use the room you are designing most frequently and how you want to feel when you are doing that (for instance relaxed, invigorated or inspired). Let me explain it this way – we take it for granted that we don’t expect an office and a club to have the same décor. It’s a designer’s job to understand who will be using the space and what they will be doing there, so that they can support those activities through the design – energizing people in spaces where they will socialize or relaxing people in those where they go to unwind. When it comes to our homes many of us don’t consciously give this part enough thought. So what I often see is people designing their décor without giving consideration to how the finished scheme will affect their mood, sense of comfort and concentration etc. Then, inevitably, they don’t find the space works for them as well as they hoped. That’s why the first step to creating a room you love is to get really clear on how you want feel when you spend time there. Once you’ve done that, the second part is to spend some time thinking about who you are as a person and what’s important to you. Bear with me. 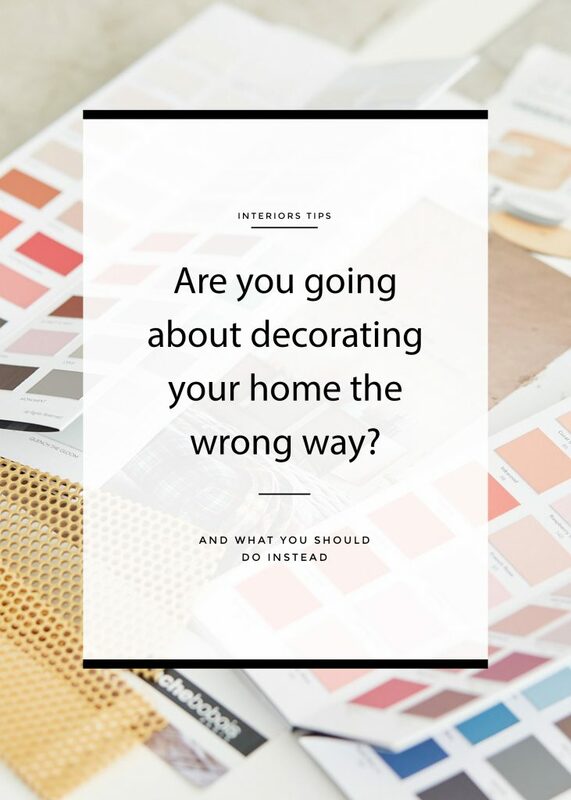 I know it might not be immediately obvious how or why your personality traits should play a role in designing your interior. Think about it – our personalities are so integral to our being that if you do spend the time bringing out some of the key elements of it into your interior, you will feel a deeper connection with your environment. As a result, you are guaranteed to be more satisfied with the outcome! Well, for example, if you value adventure and excitement, then you should reflect that in your interior – perhaps through elements you have collected on your travels or through incorporating elements that you change frequently to keep it feeling fresh and new. Whereas, if you value things such as influence and generosity you could opt for considered, refined and tailored pieces that would enhance your feeling of wealth and success etc. So I urge you, put down that glossy interiors magazine for now. Step away from Pinterest and don’t go near another home interiors store…. just yet! When you are really clear on how you hope to feel and how you can reflect your core-being in the room, then you will find it so much easier to decide what should and shouldn’t be allowed in. So grab a pen and paper and give these two steps some thought – only afterwards should you start looking for external inspiration.